After over a decade of releasing music - and over two decades of making music - the “kid” part of Dusty Kid’s name seems less and less appropriate. 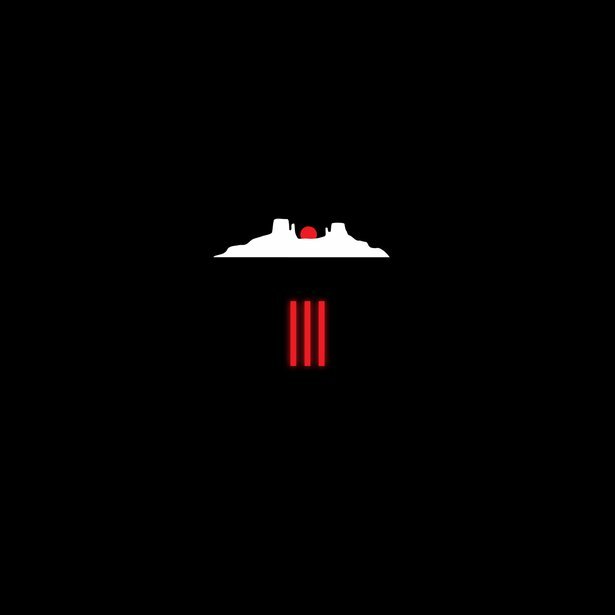 Dusty Kid’s latest album III is a double-disc victory lap of dubby rhythms, spacey atmospheres, and cozy synth lines. Working with his extension of vintage synthesizers and Live, Dusty Kid has gone back to his electronic routes while simultaneously drawing upon the classical training in piano and violin from his days as a child prodigy. We recently spoke to Dusty Kid about producing his album, giving away a mixed version of it as a free download, and how he plans to tour extensively on the album. You’ve expressed your intention for listeners to hear this album as one long experience, rather than separate tracks. How did this affect the composition process? Were you working in one giant set? Excluding the "Leather Bears Cinematic Suite" that has been conceived as a one single track with different moments, I started working on the tracks separately in a first moment but knowing that all of them were supposed to be strictly connected to each other in the final version. When they were taking their form, I then created a giant set in which I was including all the parts of the different tracks to make a continuous mix. The transitions between the tracks became in the end one of the coolest parts to work with, as I could create different landscapes to give the tracks a nice "bed" to lay down in. 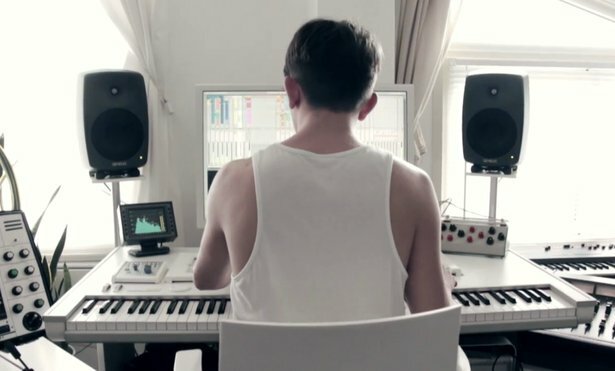 In your recent video profile, you talk about rediscovering your hardware instruments, yet software was also clearly a part of making the album. How do you work with hardware and Live together? Most of the sounds and effects were recorded from external hardware. Live played a major part in this, as it has a very cool function that lets you create a preset file that includes all the necessary settings (MIDI channels, IN/OUT settings etc) to use and manage your hardware as an internal plugin, whether is a synthesizer or an effect, and you can start work with it immediately just with a click. This is possible because of my audio card, an Antelope Orion 32, which has 32 analog IN and OUT so all my hardware is connected to the card and this let me work with the entire studio easily and treat it like a big modular setup: I can easily run the output of, let's say, the SH-101 to the filter of the Ems Synthi, and drive the result to the Space Echo which is on its side filtered by the Arp 2600. This way you can create very complicated processing chains and achieve sometimes very bizarre results. My idea since the beginning was to have the entire album sounding different compared to what we are used to hearing nowadays, the recent productions are very digital, extremely loud, everything sounds perfect, clean, cold and sometimes without character; I don't want to criticize at all, but with these characteristics the concept would have been way far from a '90-inspired sounding record. 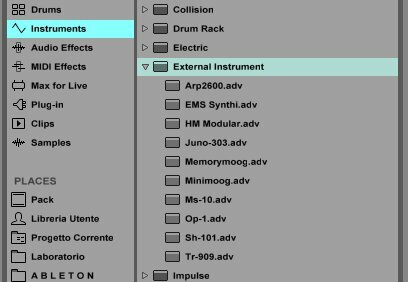 What is the role of Ableton Live in your studio? Live is now the centerpiece of my studio, I am not using any other software. As said, it gives me the chance to control everything from inside the computer... anytime I want to use external hardware it takes only one click and I have things immediately ready and working inside any of my projects, and this is a key function when you are composing and you don't want anything to interrupt your workflow. You have a background in classical piano. How did you first come to working with electronics and computers? I studied piano and violin, I was really obsessed by the music since I was just a child and it was basically my only interest. After a very short period of time I started playing pieces of music that usually takes 6-7 years of training ; so I went to the conservatory and the teachers found out I was very promising. When I was 11 I remember I wanted to play Mozart's piano concerts so I asked for a sort of module that let me record the orchestral parts of these concerts so I could play live the solo parts on it. It was a Yamaha QY20, and it was connected to a digital piano I had via MIDI, and that was my first experience with electronics: the module had just basic sounds but was also including samples from both TR-909 and 808. The result was Mozart with a 4th-on-the-floor [feel]: a true disaster for my parents! You’ve made the interesting choice to give away a mixed version of your new album III as a free digital download. How did you come to this decision? 2013 was somehow important because 10 years before, I released the first track ever under the alias Dusty Kid. I had to do something for the people that were following my music for such a long period so I thought that a free album could be a nice gift to share my gratitude. You’re going to be touring extensively behind III . How did you structure a live show based on an album that involved so much hardware? All the parts have been recorded onto stems and loops in 8 different channels, so I can have full control of all the compositions from almost A to Z: this way you can mix any single sound of a track with any of any other song and create a very complicated yet easy-to-manage live performance, combining all the elements you have at your disposal, and that's fun. I'd love to include external hardware for my live performances but this is something I've been able to do only when I played [close to home] in Sardinia, where carrying delicate synths isn't a problem, but traveling by plane doesn't make this possible. There are some very interesting live acts that I really admire that make extensive use of hardware for their performances, but how do they manage to travel with all that equipment? I constantly hear about missing flight cases, bad sounding systems and other stories like that, so I decided that my live setup had to be as simple as possible.